Some days back Hector beverages sent in a cute jute bag package with their Paper Boat juices. I received four flavours - Jamun Kala Khatta, Aam panna, Aam ras and Jal Jeera. Neatly packed individual pouches that are handy and easy to carry was the first thing that impressed me. It would be ideal to take during travel and would be very convenient during summers. The shake and drink directly from the pouch concept is also attractive. The drinks are priced at Rs 30 per pouch and is quite reasonable considering the fact that they are marketed as juices without any artificial colour, flavour and preservatives. The juices are said to be made from all traditional ingredients from India. Of the flavours I received Jal Jeera was the best. The flavours of lemon, cumin seeds powder, salt and black pepper make it quite refreshing when chilled. Also it is a good appetizer made from natural ingredients. The tangy and tempting flavour makes it a really good drink. Mango is the king of fruits and the most enjoyed fruit during summers. The taste of the drink is really good with mango pulp and sugar in the right proportion. The traditional taste would surely be liked by everyone. Aam Panna known for its heat resistant properties has been provided with the original taste. Made from light green mangoes, the mild spicy flavour can make this drink your all time favourite. Apart from being tasty this drink also looks good due to its refreshing light green colour. Jamun drink is made from real jamuns and has a slightly tangy taste. It is rich in nutrients and has amazing health benefits too. 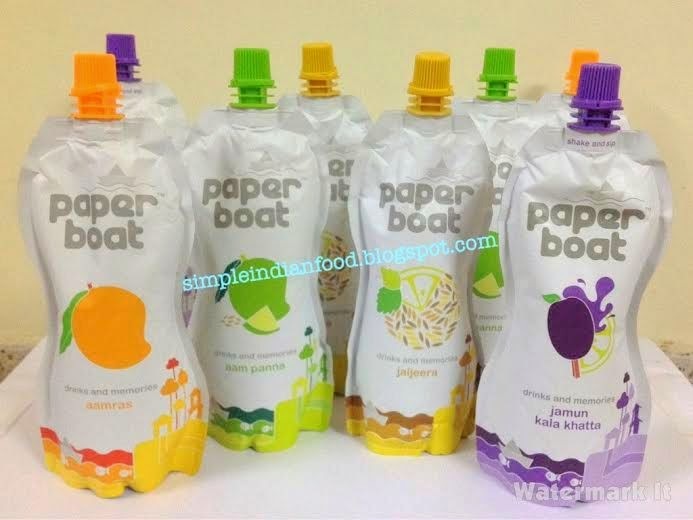 Thanks Hector Beverages for an opportunity to try out these amazing flavours from Paper boat.